What a busy day the 9th of May is this year! First, celebrated across Europe, Victory Day, marking the capitulation of fascism in Germany in 1945. Secondly, due to a coincidence of this years calendar (yes Lesia, the Julian one), Ascension Day. The Roman Catholic Church celebrates this every 14th Thursday after Easter Monday, with this day granted as an extra bank holiday – in Belgium at least. Thirdly, for the Eurobubble, the 9th May is a day to remember – Europe Day. Officially, Europe day is the celebration of the Schuman Declaration of 9th May 1950, an act considered by many as the first move towards the creation of what is now the European Union. To recall some long lost memories, the Schuman Declaration was a proposition made by the French Foreign minister to Germany (and any other European country willing to join) to pool together their coal and steal resources under the supervision of a supranational High Authority, the ancestor of the current European Commission. More officially, this anniversary is a pretext for the European Union to re-launch Public Relation campaigns. On this occasion, the European Institutions were accessible to all visitors, with information, flyers, debates, lectures, tours, videos and other activities organised, with the main aim to distribute as many gadgets and items stamped with the EU logos and symbols as possible. Having participated myself, I will just briefly evoke some of what I saw there: the general excitement of a pro-European crowd (Farah may want to compare this to her experience at the Dutch Queen’s day which just passed), people ferociously chasing the goodies without paying attention to those trying to discuss European issues with them, or even the European Commissioners feeling satisfied at having “gone out to listen to the European citizens”, justifying their discourse which is so out of touch with reality (Frank I am sure you see what I mean). From a more theoretical point of view, one could attach Europe Day as an attempt to create a European Identity. This “National Day” where the Union would remember its founding fathers must be envisaged alongside the introduction of the Euro currency, the adoption of a European flag or the European anthem. All these elements could be referred to as being part of a European identity-building process, based upon what has been experienced during the German, or even American, unification process (Natasha, if you read me…). It is true that Europe Day is all of the above, but we should return to its fundamental principles. Europe Day, in my opinion, should help us remember the revolutionary character of the European Union: the Community Method and its supranational character originally proposed by the Schuman declaration, where the power and political drive lies with the Commission, as the guardian of the European Interest. With proposals to the Council and Parliament who act as co-legislators. Nowadays, this way of doing politics is sadly neglected. When dealing with the pressing issues determining the future of our Union, our Heads of States and Governments choose inter-governmental negotiations, with the Community Method pushed aside. The Treaty of Stability, Coordination and Governance, and the European Stability Mechanism are some good examples of this situation. 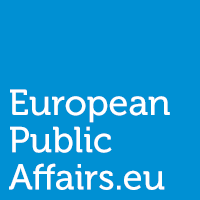 More worrying is that even in the daily functioning of the European Union, in the repatriation of competences and the corresponding allocation of decision-making processes, sensitive areas such as taxes, defence, justice and foreign policy are still kept away from the scope of the Community Method. However, for the coherence and long-term sustainability of the European project, its legal order and political significance. I do believe that the scope of the Community Method should be extended to these areas. That’s why Europe Day is also an important remembrance day. On these final thoughts, I wish you a Happy Happy Europe Day! The EU and the euro is in a state of disintegration, so I am not too sure Europeans have much to celebrate. Its well know of the democratic deficit that runs right through many of the institutions of the EU, three unelected presidents? The quicker the UK cuts loose from the EU red tape and regulation addiction the better.